It is essential to understand the reservoir for being better positioned in order to optimise the life time performance. JOSLER’s team of geoscientists and engineers has petrotechnical expertise of integrating reservoir geophysics, reservoir geology, petrophysics, reservoir engineering, geomechanics etc. for understanding reservoir rocks and fluids through accurate measurements and characterization. Our reservoir characterization team has the experience and techniques to build robust reservoir models that will be useful for both day to day field monitoring and long term field development planning. We prepare robust 3D geological model with the help of E&P industries practiced softwares, which is required to understand the reservoir behaviour of the field. 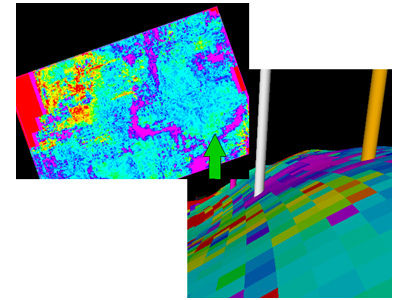 Robust 3D geological model generation requires different reservoir parameters. Static model building includes time seismic surfaces converted to depth, well logs, petrophysical interpretation output logs, core analysis output data, well test data etc. The static reservoir model is to be ultimately used for volumetric estimates and for dynamic simulation of various development scenarios which recommends the best variant to their client based on the sound economic analysis considering the current market cost of each component.